I had a nice little Sunday yesterday, strolling around a beach city south of Los Angeles with some friends of mine who were visiting from Portland(ia). They moved there about two years ago and bought a house without delay. I gave them (the wife) props for purchasing a home so quickly seeing that all I hear about are horror stories up there. It sounds like it’s close to impossible to find a home in Portland with the bidding wars and lack of inventory. I guess that’s pretty much true of most areas nowadays. Anyway, my friend and I discussed his other property in Dallas, which is currently being rented out. They moved from Texas to Oregon thanks to a job relocation. Home prices in the Lone Star State have surged in the past few years, putting him in a pretty healthy position there. I asked what he planned to do with the property and he told me was debating selling it to lock in those profits, or continuing to rent for a steady cash flow. He expressed some concern about missing out on said profit if home prices there were to take a turn, perhaps because they got a little ahead of themselves. I pointed out last week that prices in Dallas were above their outlier threshold, meaning they’re in unfamiliar and perhaps troublesome territory. That could cause one to panic and sell their investment property if they think prices will tumble in the near-term. But I said to him, who cares if prices fall? You have a renter and a super low fixed-rate mortgage and you can afford to make payments. In fact, they’ll just get cheaper with time thanks to inflation. Does it matter what the price of your home is during X year? If you’re going to hold onto it for years to come you can ride out the peaks and valleys and rents should stay fairly stable if not climb. 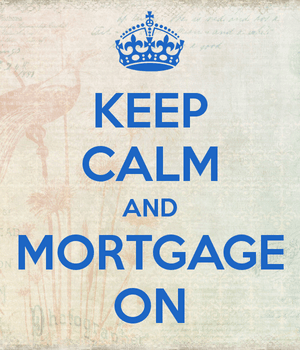 That’s the great thing about a fixed-rate mortgage. You can just sit on it for 30 years…you can set it and forget it, so to speak. With an ARM, you could be forced to make a move once the initial fixed period ends. You’ll likely need to refinance or sell to avoid a (higher) payment reset. And it turns out those with ARMs really do sell more than those with fixed mortgages, this confirmed via the latest Mortgage Monitor Report from Black Knight Financial Services released this morning. The company noted that borrowers with ARMs are 72% more likely to list their homes than those with fixed-rate mortgages. They called it “hardly surprising” because home buyers often choose ARMs when they think they won’t be staying in their homes very long. Their data also found that homeowners are less likely to sell if they have a fixed mortgage rate of 4.25% or lower. A lot of people probably have rates that low thanks to the very favorable rate environment seen over the past several years. This is great for existing homeowners but potentially more bad news for aspiring owners. Black Knight worries that this trend can further exacerbate the inventory problem. And if mortgage rates rise, these borrowers may be even less likely to sell, driving prices higher along with rates. Meanwhile, fewer delinquent borrowers are listing their homes because there are…fewer delinquent borrowers these days. Apparently folks who are behind on their mortgages are twice as likely to list their homes for sale, but because today’s mortgages are so pristine, this group is dwindling. But wait…there is hope of some forced selling. Black Knight found that delinquencies on home equity lines of credit (HELOCs) have experienced annual delinquency rate increases in two of the past six months after seeing none since June 2012. The culprit is mainly the 2005 vintage because the 10-year interest-only draw period ended and the loans became fully-amortized. The same is now happening with 2006 vintages and 2007 vintages are sure to follow. Those were very bad years if you recall (bubble prices) so that could free up some inventory if these homeowners decide the payment hike isn’t worth sticking around for, especially if they’re finally back above water. Of course, it could also lead to increased refinance volume if they decide to combine their first and second mortgages into one new low-rate loan.